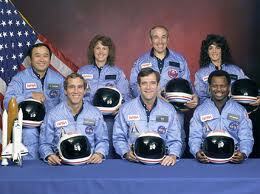 January 28, 2011 marked the 25th anniversary of the Challenger Accident. For those who were of age to remember that fateful day, it is forever etched as one of those unforgettable moments of our lives. In an instant, the shock and surprise, the tragedy and loss became an event where you never forget where you were when you heard the news. For me, it was no different. Our daughter had been born the day before the accident and having been exhausted from a long two days of events, the morning of the launch I had slept in a little late before heading back to the hospital. I knew that liftoff was scheduled later that morning around 11:30am and I had hoped to make over the hospital on time to catch it live. If not, I would see it later on the news that evening. As timing would work out, when I got off the elevator on the maternity floor there were several people huddled very close to a television in a corner of the waiting area. So close that it obscured any line of sight I had to what was of such interest. As I walked by I heard the announcer say "it appeared to be a problem with", that was it. It did remotely cross my mind that they were talking about the Shuttle, but I had assumed it was a scrub due to a last minute technical glitch. This particular flight had been repeatedly postponed and that it might have been again was of no surprise to me. I brushed it off and kept walking. An accident of this magnitude was the furthest thing from my mind. 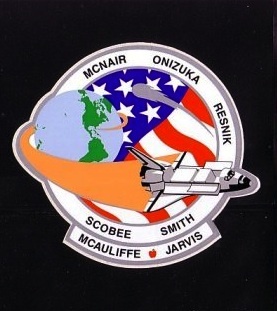 We all knew the hazards and risks of spaceflight, but like many others I did not think it was possible for America to lose a Space Shuttle and its crew. When I got to my wife's room, the first thing she said was "did you hear about the Shuttle?". She added that there was a problem at launch to which I replied "did they make it back safe?". Without yet knowing what had happened I thought about a problem on ascent and possibly an RTLS (Return to Landing Site) abort, but as I watched the replay it became evident that this was a fatal accident. I remember thinking the "how it happened", while important, might never match that it "had happened". Though it was the second loss of life behind the fire in Apollo 1, it was the first in-flight accident. We had lost seven space travelers who dreamed the same dream I had of reaching space, and within seventy-three seconds we had lost all of them. Without knowing what eventual news was to come about o-rings, management issues, safety issues with the vehicle, and ultimately a second crew loss, I had thought this might be enough to derail human spaceflight permanently. The results of the Rogers Commission would only provide additional fuel to the fire for those that believed that manned spaceflight was too far a reach given our appetite (or lack thereof) to fund a space program at the levels required to ensure the highest degree of safety and realistic performance objectives. Over the many years since the Challenger and Columbia accidents I have watched nearly every documentary on the tragedies and read countless volumes and reports. The most compelling of which is the "The Challenger Launch Decision" by Diane Vaughan, but there are many other good films and materials including the report by the Challenger Accident Investigation Board. There is sadness to reading and watching the story of both accidents, neither was a failure of crew or the Orbiter itself, they were human, political, and process failures. They were both reminders that in the U.S. Space Program we were living above our means. The wheels had been set in motion prior to the moon landing that would set the manned space program in a continual state of decline decade after decade. Forced to do more with less and portray less as more. It was an unsustainable mode of operation that was bound to break, and it did. With the recent passing of the 25th anniversary of the Challenger Accident and the 8th anniversary of the loss of Columbia I went back and reviewed several clips and footage about the Challenger accident, including a NASA documentary that I had not previously discovered. That particular documentary walked through a step-by-step photo and film technical analysis of the events with the Shuttle after launch. Having watched many hours of film, it more than any other captures the essence of what caused the loss of the crew and vehicle. It is not a film about the underlying reasons or causes, but about what transpired in those seventy-three seconds. I have embedded these films, in two parts, in this blog and also to my YouTube library for those that may be interested. It is a film that is factual and emotionless. It describes what happened in detail, but ignores the fact that human lives were lost. It focuses instead on the machines, not the crew. It is a cold film that looks at a sequence of technical failures, but it cannot escape forcing one's thoughts about the human element. A portion of the film is startling, as the crew compartment with the windows visible, but detached from the remainder of the vehicle, emerges from the cloud of vaporized liquid oxygen. It is a heartbreaking thought that the crew was likely alive at this point. Former Shuttle Astronaut Story Musgrave, a physician, strongly believes the crew was conscious until impact with the Atlantic Ocean at 200+ mph. Others agree, and even NASA states that it was "likely" the crew had survived. I also watched a 15 minute clip of stock NASA footage taken the day of the accident. The majority of that film focuses on what happened after the accident. The cameras were rolling capturing the debris cloud and the crowd. It spends a large amount of time looking at the faces of those in attendance at the launch. The faces are easy to read and cover a wide range of emotions. There is panic and confusion, sadness and shock. Some knew immediately that what they had witnessed was a tragedy in the making. Others seemed to be waiting for news that the crew had somehow survived and the Shuttle was on its way back, but survival was not a possibility in this set of circumstances. The Shuttle's contingency and intact abort options did not account for an incident while the Solid Rocket Boosters (SRBs) were still attached and active. Interestingly, the Air Force in the 1960's had once considered adding a "dousing" feature to SRBs that they had planned to use on their own manned space program. This "dousing" feature would be a required safety feature and allow for shutting down actively firing SRBs before their fuel was exhausted, that option was never developed and never considered for the Shuttle. As I watched the film on the technical analysis of the accident, I learned a few things that I had not previously considered about the events of that day. For example, the aerodynamic stress and forces on the orbiter at the point of the accident. I also thought about the Shuttle's abort modes and did a little research to see exactly how they worked. Technically, there are four abort options, three are available to the Commander during launch, they are the Return to Landing Site (RTLS), Transatlantic Landing (TAL), and Abort Once Around (AOA). 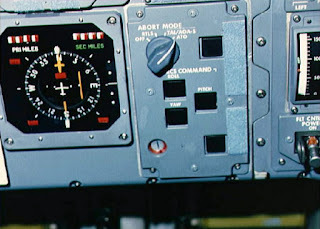 In those abort modes, the Shuttle Commander dials a switch to the desired abort mode and then presses the abort button. The fourth is an Abort to Orbit (ATO) which assumes that the Shuttle, while encountering an anomaly, maintained sufficient power to reach orbit. The one I was most interested in was my first thought on the day of the accident, the Return to Landing Site abort. Challenger was unique in that the accident occurred at a point where no abort option was available. The accident itself proved how rare and perhaps impractical these abort options would be. Here is how the Return to Landing Site option would work. During launch, a failure of one or more of the Space Shuttles Main Engines (SSMEs) would trigger action for an RTLS Abort. This option is available during a two minute window starting as early as 2:20 (minutes) into the flight up to 4:20 (minutes) depending on the number and timing of the SSME failure. To put this into perspective, the Shuttle goes from ground to space in about eight minutes. Before that 2:20 mark no abort mode exists and after 4:20 another abort option must be used. 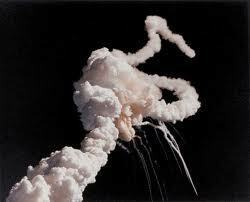 Challenger's accident occurred 73 seconds into the flight, well before this first option was available. Even if, Challenger had made it to SRB separation, but it was feared that External Tank was breached, the Shuttle could not have executed an RTLS. How the RTLS works is a high risk maneuver under any circumstances. First, it assumes Orbiter power and flight control along with External Tank structural integrity, then a "safe failure" of an SSME. This would require a detection and shutdown of an SSME and not a catastrophic failure such as a turbopump or a damaging explosion of the engine or the engine compartment or any of the flight control mechanisms. Assuming that a "safe failure" occurred, the commander would trigger an RTLS abort after SRB separation up until 4:20 seconds into flight. 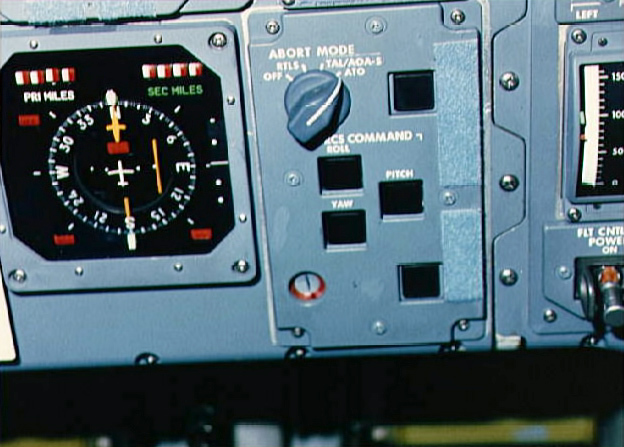 Execution of the process starts when the commander turns the dial on the control panel (shown at the left) to the RTLS position. At that time the Orbiter and the External Tank would begin a course change to fly back towards the Kennedy Space Center. When the Orbiter had sufficiently burned enough fuel it would roll to a heads-up position, jettison the external tank and fire its maneuvering engines to ensure that the tank does not make contact with the vehicle after separation. The Orbiter would then continue a normal glide path back to the Shuttle Landing Facility. It would take a failure mode under a very narrow set of conditions for that to work. The thought might have crossed your mind what if Challenger would have emerged intact from the accident? Could it have glided back to the Kennedy Space Center? Many of us thought, myself included, that what we had witnessed was a violent explosion of the external tank. It visually appeared that it was the cause of the Orbiter breakup. Despite the initial NASA announcer's remarks that "the vehicle has exploded", NASA found no explosion in its review. If you watch the two films embedded in this blog you will get an understanding of what happened to Challenger (Orbiter). Near the 73 second mark of the flight, the failed left solid rocket booster had set off a rapid chain of events. The left SRB aft attachment bracket had broken free from the tank, the flame burning through the SRB had already breached the external tank, eventually the liquid hydrogen tank failed and the bottom of the tank detached. As the booster swung free of its attachment point it likely struck the top of the tank, but also broke at the forward attachment bracket and breached the upper liquid oxygen tank. Within milliseconds, the structural integrity of the tank was gone. Exposed to aerodynamic forces, the breached tank immediately spewed rapidly expanding gases and disintegrated. Challenger was now uncontrolled and free from the tank. Within a fraction of a second, the aerodynamic forces tore the Shuttle apart and debris from the tank and Shuttle were pushed outward by the expanding gases giving the illusion of an explosion. The Shuttle was not designed to sustain such violent forces. RTLS abort could only have worked while the Shuttle was in a controlled flight and could dissipate fuel and energy, nothing could have saved Challenger on this day - except to not launch at all. Many events conspired against Challenger, numerous delays, an erroneous weather forecast that scrubbed the mission on a perfect launch day and forced a delay to launch in unusually cold temperatures. The cold temperatures and its correlation to o-ring degradation was a known issue, as was wind shear on launch day. On that day, the Shuttle experienced the most violent wind shear any mission to that point had encountered, yet the wind shear was expected and found to be within design limits. It's all speculative, but the post launch exhaust trail reveals how significant the upper levels winds were that day. The flame emerges from the booster at about the same time the Shuttle was buffeted by these winds and as it was given the go for throttle up. Even with the failed seal, Challenger may have just barely missed disaster had it not encountered winds that shook the vehicle and dislodged debris temporarily sealing the breach in the failed joint. Columbia would evoke similar emotions and disbelief that tragedy had once again found its way to the American space program. The RTLS was an option for Columbia, but only if trained eyes had spotted the foam strike as it happened. No real-time process existed at that time for such a call. What did exist was an initial review of ascent footage within two hours. For the flight of Columbia, the initial review did not show the foam strike. The next day, higher resolution footage showing different angles from additional cameras was reviewed. That film showed the alarming strike on the underside of the Reinforced Carbon Carbon panel on the left wing. The strike had occurred at 82 seconds into the flight while the Shuttle was at sixty-five thousand feet and traveling at mach 2.5. It would have taken a gutsy call by the ground to call for an RTLS abort within about a minute and a half after the strike, but no such contingency had ever been planned. No process existed to monitor foam strikes as a potential hazard worthy of an ascent abort. Hard data, telemetry were the drivers for abort, not speculative "what-ifs", even if they erred on the side of caution and safety. One could also understand that an RTLS abort might have been equally as dangerous as the flight itself. As the Shuttle program winds down and we begin yet another journey towards the stars, the lessons of Challenger and Columbia must still remain fresh. Both post accident reports showed shocking lapses in safety and management. Some of these were a result of the early success of NASA and the risk taking culture inherent in space exploration, but a large portion falls on the political nature of the program and the direct influence the President and Congress has on our success in space. Even though the Shuttle will end its reign as America's first reusable space vehicle, the lessons learned must remain. Space is too complicated to be run on shoestring budgets and safety shortcuts. We either have to decide to invest and do it right or rest on our legacy. Given the tragedies and the price of the lives lost to reach space, our legacy is incomplete. 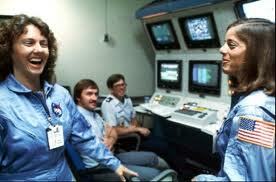 We owe it to the crews of Challenger and Columbia to prove that America is still a great space power.